This find is for the lover of candles but want something special for your decor. 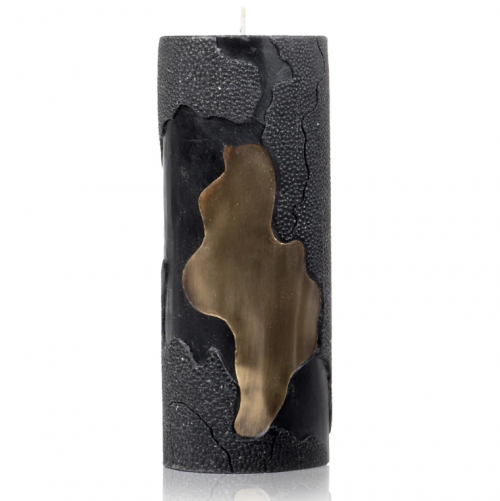 Made of handmade of black mineral wax, PATRICK COARD Paris’ pillar candle features bronzetone brass and shagreen like details arranged in a camouflage style pattern. The designer draws inspiration from his Danish and Irish heritage to craft his line of modern, avant-garde candles. This is a truly dynamic design for a candle and you can go HERE to get.